Cool idea to consume sprouts! Nice recipe! 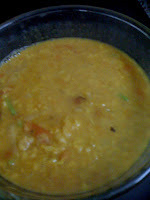 Daal looks so healthy and delicious. Looking yummy and healthy Recipe.